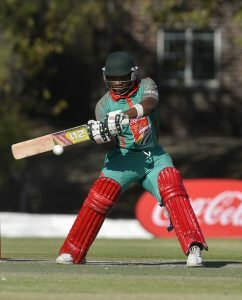 THE ANNUAL Coca-Cola Khaya Majola cricket week commences this week in Cape Town. The long week tourney will see 15 teams country-wide partaking from December 16 to 20. It plays an important part in Cricket South Africa’s (CSA) talent identification process. Sinethemba Qeshile, will be on his best as the 40th Coca-Cola Khaya Majola Cricket Week commences this week in Kaap-Stad, ‘Mother City’. Talented players spotted at the tournament are channelled into the national under-19 system and into the elite academies in the provinces. The week tournament also provides a stage for the players who have come through CSA’s development structures to perform in top cricketing franchises. Notable players such as AB De Villiers, Graeme Smith, Faf du Plessis, Temba Bavuma, Quinton De Kock, Dale Steyn, Morne Morkel, Kagiso Rabada and Lungi Ngidi, all played for their provincial teams at the Khaya Majola Cricket Week, over the years. The likes of Sinethemba Qeshile, Gideon Peters will be fighting to be scouted and ultimately, drafted into national under 19 colours. This year marks 40-year milestone commitment and dedication to the development of young cricketers across the country, thanks to the Coca-Cola Khaya Majola Cricket Week. Below are the fixtures for the first 3 days. The fixtures for day 4 and 5 will only be decided at the end of day 3 and 4 respectively.